1. In an important development ahead of the U.N. Climate Change Summit in Paris in December 2015, India released its climate-change policy statement. India has set the target to cut the carbon emission by 33-35% by 2030 and increase renewable energy production capacity by 40 per cent. 2. Virat Kohli has become the first Indian batsman to reach the milestone of 1,000 runs in the Twenty20 International (T20I) format by scoring 28 runs. The feat was achieved during the first T20I between India and South Africa at Dharamsala, Himachal Pradesh. 3. Indian Naval Ship (INS) Sahyadri entered Da Nang in Vietnam on a four-day visit. The Shvalik-class stealth frigate is on an ‘Operational Deployment' mission to South China Sea and the North West Pacific region. The deployment is a part of India's ‘Look East' and ‘Act East' policy. 4. Rangarajan Vellamore, CEO Infosys China, has become the first Indian to receive the ‘Magnolia Gold Award’ in recognition of his contributions to the development of IT industry in Shanghai, China's financial hub. 5. Forbes India Leadership Awards 2015 were presented in Mumbai. Awards are-- Outstanding Start-up for the Year: Bhavish Aggarwal and Ankit Bhati of Ola. Best CEO – Multinational Company: Uday Shankar, Star India Pvt. Ltd. Best CEO - Public Sector: Arundhati Bhattacharya, State Bank of India. Best CEO - Private Sector: C.P. Gurnani, Tech Mahindra Ltd. Lifetime Achievement Award for the Year: R.C. Bhargava of Maruti Suzuki India Ltd. Entrepreneur for the Year: Uday Kotak of Kotak Mahindra Bank Ltd.
6. 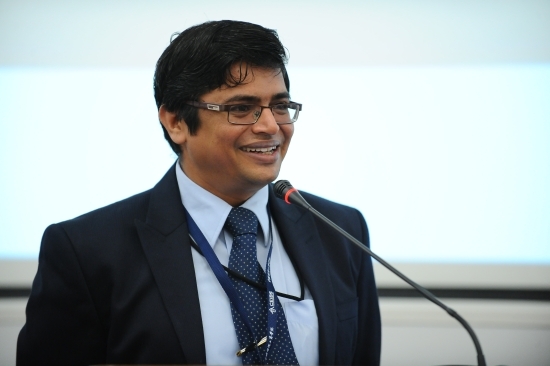 Sarat Kumar Acharya assumed office as Chairman and Managing Director of Neyveli Lignite Corporation Limited (NLC). He succeeded B. Surender Mohan. 7. Rural Development Ministry launched Intensive Participatory Planning Exercise II (IPPE-II) scheme in 2,532 poorer Backward Blocks of the country on 2nd October 2015. Its aim is to address the various facets of poverty of rural families by incorporating all rural development programmes in a single participatory planning exercise. 8. HSBC announced retirement of Naina Lal Kidwai as HSBC India chairman on 31 December 2015. 9. India will host G20 Summit, a prestigious international meet during 2018. Turkey will chair the G20 Summit of 2015, followed by China (2016) and Germany (2017). 10. Private bank IDFC Bank became the latest entrant to India’s banking sector on 1 October 2015 as it unveiled its banking operations on this day with 23 branches.